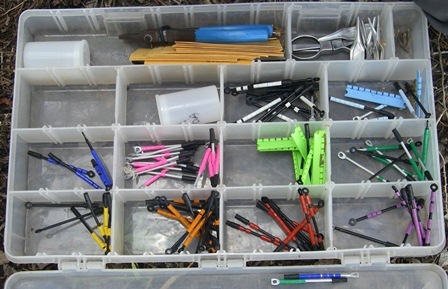 Occasional observations and notes from Scott Rowin, Refuge Wildlife Biologist,and Jim Mueller, Land Management Research Demonstration Biologist at Balcones Canyonlands National Wildlife Refuge. 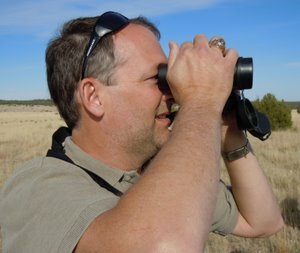 Jim Mueller was hired in 2010 for a new position as the Land Management Research and Demonstration (LMRD) Biologist. He graduated from Boerne High School, earned degrees from Texas A&M and Texas Tech, worked for 5 years in the Mojave Desert, and taught at Sul Ross State University and Tarleton State University before returning to work and live near the land where he grew up. 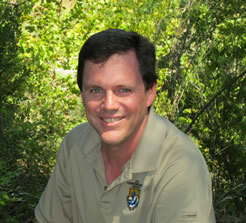 Scott Rowin was hired in March 2011 as the Wildlife Biologist for the Balcones Canyonlands National Wildlife Refuge. Scott grew up in the Austin area where he graduated from Westwood High School. He then attended Sul Ross State University and graduated with a degree in Wildlife Management. Since graduating he has worked as a Wildlife Biologist for over 15 years, most of which was with the US Fish and Wildlife Service where he helped with central Texas endangered species recovery efforts. Most recently Scott worked for the City of Austin as the Program Manager for the Balcones Canyonlands Preserve, a partner to the Refuge. *** Be sure to click on the "Read more" button to see the full text of each entry! ***The public can read Chucks posts, but only dues paying members (logged in) can comment. I stopped by Sunset Deck at Warbler Vista today just before noon and heard at least two Golden-cheeked Warblers and a Black-and-white Warbler from the deck itself. This area is an excellent place to take your friends for a pleasant hike, a panoramic picnic, or a wheelchair-accessible vista that can't be beat. 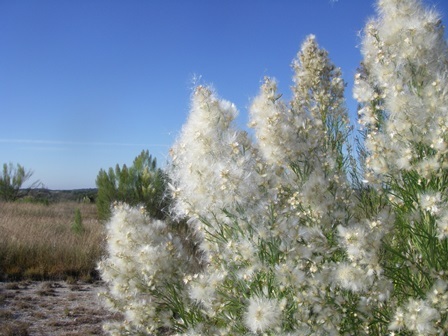 We are working on a web-based interactive site for learning the plants of the National Wildlife Refuges. Check it out at http://swbiodiversity.org/seinet/projects/index.php?proj=24. Click on Balcones Canyonlands and then have fun exploring the site. 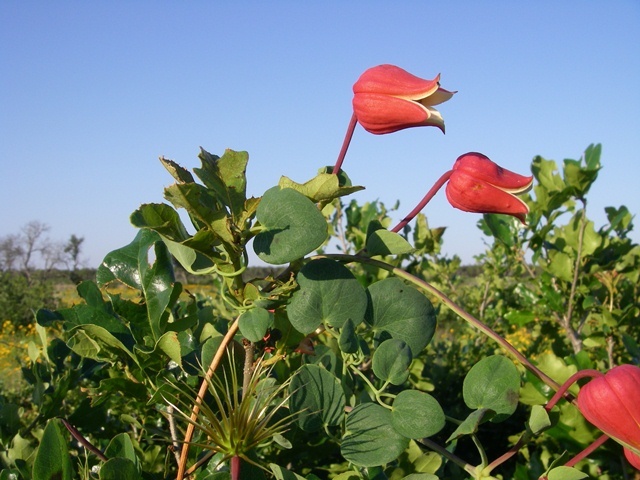 You can have the list of plants for the refuge displayed with pictures, play a game where you get to identify the species based on a picture, or just see information for each species. You will find that we have a lot of work to do on this, especially to get good photos of all our plants. Currently, we have just loaded our list in and connected it to pictures as available on the web, but hopefully you can see the potential. Try this out -- click on Games (upper right) and then Flash Card Quiz. Under Options - Filter quiz by taxonomic group, select Onagraceae or Verbenaceae. Be sure to check the box below that to display the common name. If you give up, there is an option for "Tell me what it is!" If you are brave, try the Asteraceae, one of which is pictured here. This site is based on a collaboration with the National Park Service. Let us know if you would use this once it is fully developed. Bill Reiner will be teaching a class on grass identification during two 1/2 day sessions, Saturday 9/28 and 10/5. The classes cost $50 for Travis Audubon members and $65 for nonmembers. See http://travisaudubonsociety.camp7.org/Default.aspx?pageId=1272930&eventId=729544&EventViewMode=EventDetails to register. The smell of smoke is in the air. On Sunday, February 17, 2013, the Refuge burned the first of three 100-acre plots in Golden-cheeked Warbler habitat as part of a designed experiment. 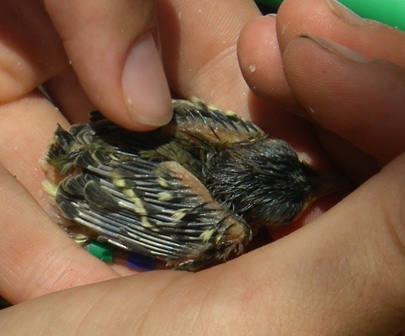 The Refuge manages approximately 14,000 acres for Golden-cheeked Warblers. Why are we burning these three 100-acre plots? First, the potential for a catastrophic wildfire can be greatly reduced by burning these areas under conditions of humidity, temperature, wind, and fuel moisture that allow the slash (from cutting before the Refuge acquired the land), downed trees, and leaf litter to be consumed while having a low risk of a spreading crown fire. Second, we predict that Golden-cheeked Warblers will be more productive in juniper-oak woodlands with high canopy cover and high tree species diversity. We are hoping to increase oak canopy cover by promoting recruitment of oaks and reduce dense stands of young juniper (not eliminate – “all things in moderation” as Benjamin Franklin proffered) that invade areas where fire is excluded. Each of the sites being burned is paired with a control site. Researchers collected data on the vegetation and warblers on all the sites in 2012. Data will be collected on all the sites again in a framework termed a Before-After-Control-Impact study design. The difference on each plot is calculated for data from before and after the treatment. Then, the difference of these differences is calculated for each pair of sites. The first difference (Before minus After) accounts for changes that occur over time, with the natural variation accounted for on the control plots. The second difference (Control minus Impact) then accounts for the change that was actually due to the treatment, in this case the fire. Managing natural resources requires setting objectives, implementing actions to achieve those objectives, monitoring the resources to learn and assess if the objectives are being met, and then modifying or changing actions as warranted. Often, we need to conduct experiments to assess new techniques. Results from this experiment will inform land managers on the role of fire in management of juniper-oak woodlands for Golden-cheeked Warblers. That smell of smoke will soon be replaced by the sound of Golden-cheeked Warblers. Last year the first male was observed at Warbler Vista on March 3. So, get out there on the trails and enjoy the sounds of spring. Today I had the privilege of watching a buck and doe white-tailed deer throw caution to the wind as they cavorted back and forth across a hill top at 2 pm. I could hear the buck grunting as he raced around like a border collie herding the doe back and forth. The cool and calm weather coupled with a clear sky seems to have given every creature the desire to get out and enjoy the day. I hope you get to enjoy some of this beautiful weather this week. I have not posted in a while and wanted to take this opportunity to let everyone know that Charles Mickel spotted and took a photo of a Black-Headed Grosbeak yesterday, 9/24, at his home in Whitewater Springs. This species breeding range occurs in the western half of the United States and having one on the Refuge is considered accidental. The bird was seen several times during the day feeding on sunflower seeds on his platform feeder along with Cardinals, Titmouses and Carolina Chickadees, with plenty of Lesser Goldfinches nearby on thistle sacks. I took some pictures of Texas A&M graduate student Michaela Murphy banding black-capped vireo nestlings today. 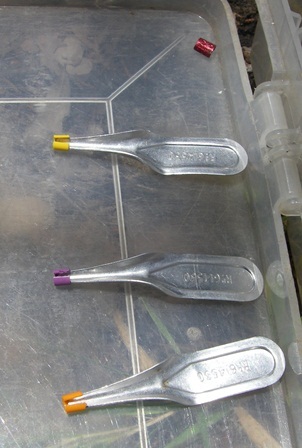 Below are pictures showing the assortment of color bands they use to uniquely identify birds, the applicators used to hold open the plastic bands while applying them, and a 7- to 8-day-old chick showing the bands on one leg. In the second picture you can also see a red aluminum band that is a USGS band with a unique ID; they use red aluminum in addition to silver aluminum to increase the number of potential color combinations. You can also watch a short video of nestlings on the refuge made by Texas Parks and Wildlife Television Productions by clicking here. Our native scarlet clematis, or red leatherflower, will stop you in your tracks with its beauty. Here is a photo of one from the refuge in an area we have cleared and burned to re-establish habitat for black-capped vireos. 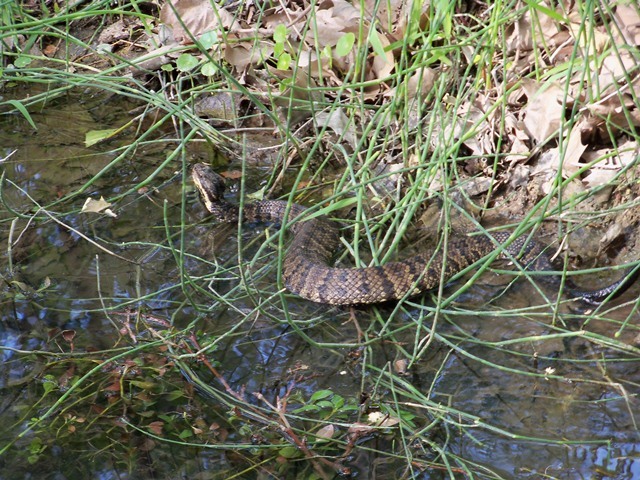 Patrick O'Meehan sent me this outstanding photograph he took of a cottonmouth in Post Oak Creek along the Post Oak Creek trail. Note the dark cheek stripe trimmed in white. The crossbands that display so prominently in this individual will fade into a solid dark color with age. This species eats nearly every variety of vertebrate available including frogs, reptiles, fish, birds, and mammals. Generally, these snakes are not aggressive, but if you are bitten you should seek medical attention immediately to minimize the damage to tissue and the very remote chance of death. Landowners in Travis County are invited to a free one-day workshop on Saturday, June 9, 9 am - 4 pm, at Lady Bird Johnson Wildflower Center. Presentations will be given by Dr. David Appel (Texas A&M) on oak wilt prevention and mature tree care, Jeremy Hasty (NRCS) on brush and native grass management, Andrea DeLong-Amaya (Ladybird Wildflower Center) on landscaping with natives, and our own Carl Schwope on prescribed fire and protecting structures from wildfire. The target audience for these workshops is the new landowner who has purchased 10-200 acres and needs knowledge on how to manage it. For more information and to RSVP, contact ebeckers@tfs.tamu.edu or 512-339-3772. A free lunch will be provided to the first 200 registrants.